2017. 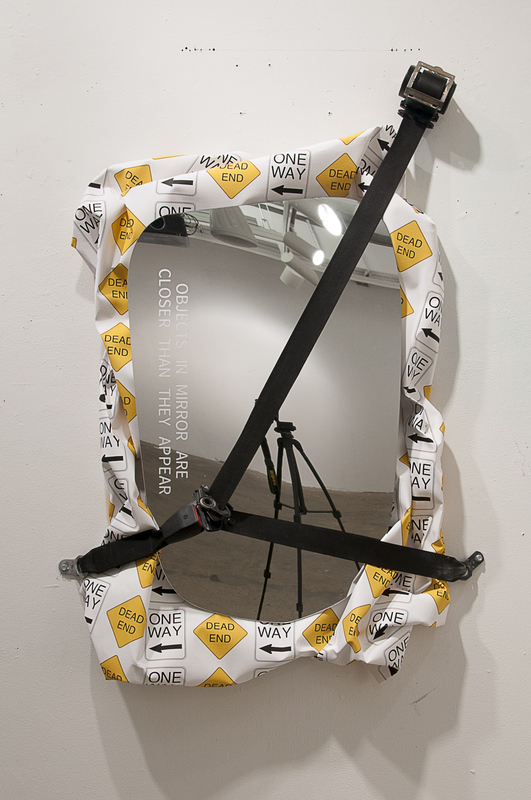 MIRRORED PLEXIGLAS, INKJET PRINT ON CANVAS, SEATBELT. 2017. MIRRORED PLEXIGLAS, ADHESIVE VINYL, JUMPER CABLES, STRIPING PAINT. 2016. UV DIRECT PRINT ON ALUMINUM COMPOSITE PANEL, 63"x47" 1/4. 2016. UV DIRECT PRINT ON ALUMINIUM COMPOSITE PANEL, 63"x47" 1/4. 2015. 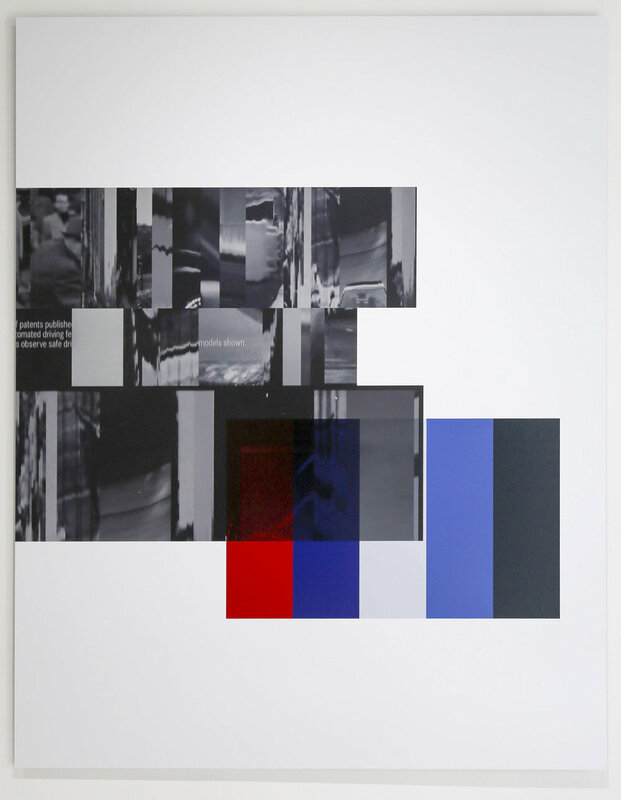 CUT-AND-PASTED INKJET PRINT ON WOOD PANEL, 28 9/16" x 23 13/16". 2015. CUT-AND-PASTED INKJET PRINT ON WOOD PANEL, 63 3/4" x 44 1/16". 2014. 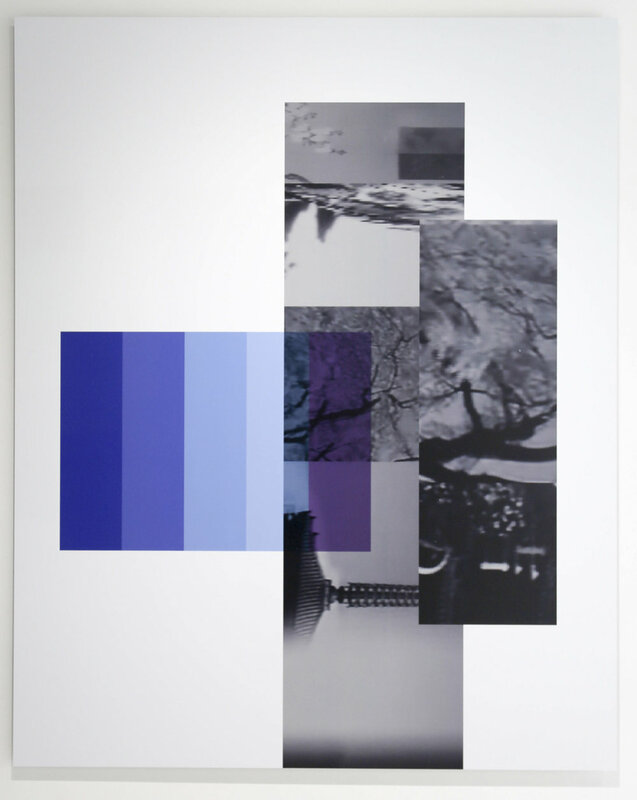 PIGMENT TRANSFERRED IMAGE, ENAMEL ON A DRYWALL PANEL, 66"H x 44"W x 3"D.
2014. 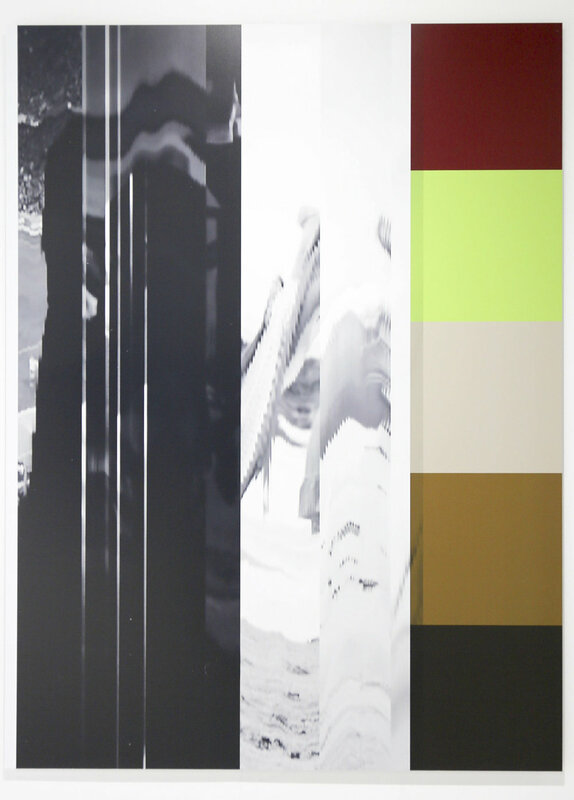 PIGMENT TRANSFERRED IMAGE, ENAMEL, GESSO, DRYWALL MUD ON A DRYWALL PANEL, 66"H x 44"W x 3"D.
2013. FABRIC, SAFETY PINS, TEST TUBES, ARTIFICIAL FLOWERS, NATURAL FLOWERS, DIGITAL INKJET PRINTS, 8' x 12' x 12'. 2013. DIGITAL INKJET PRINT, 31" x 41"
2013. DIGITAL INKJET PRINT, 21" x 84".